Eds. note: this post is the fourth in a series of posts about songs from my last EP, Old Haunts Volume 1. This was my favorite song on the EP I think, and I might be the only one who likes it. I have to please myself first or what’s the point, right? What’s fun about this song is it’s an instrumental scrapbook of a particular time. I recall one night in 2007 or so just playing around on guitar and recording a loop, which is the first guitar you hear in the track. Then I played the lead bits, and then the fuzzy guitar where it changes and gets darker while the original loop is still playing. I don’t quite remember but I think all of the guitars came together on the same night and was just a sketch, something to be re-recorded if the music was worth pursuing. Since then I’ve come back to it a few times thinking that yes, I like this, I should record it “for real” but never got past the original sketch because I liked the feel of it. At some point I was playing with a Moog synth and added the modulated/noisy tracks that make up the intro, and a sampled tambourine. Late last year I added bass and some found samples. The samples are their own stories that are just fun for me. 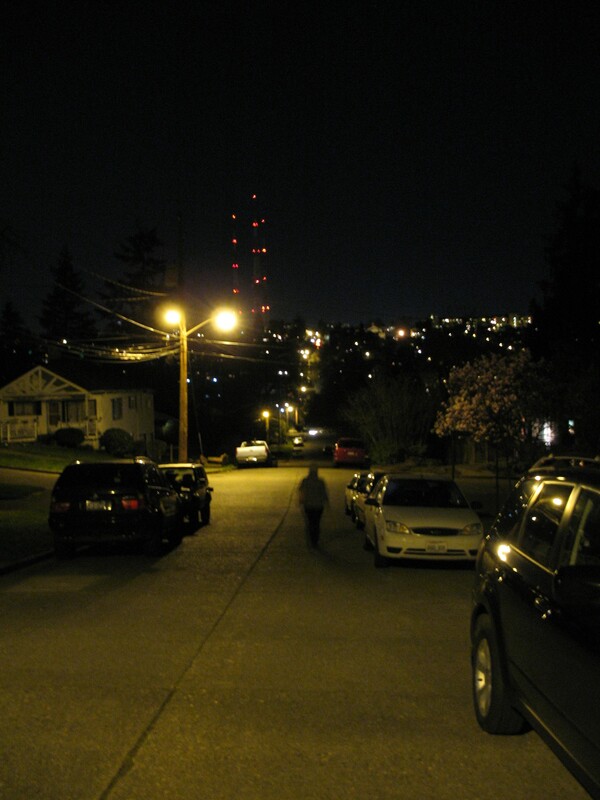 One night when I lived in Madrona I was trying out my shortwave radio on just FM or AM, nothing special, and found an audio loop of real estate information from a nearby house. I guess that was a thing 1o years ago, to broadcast a very low-power signal with an audio message describing the house for sale and how to contact the realtor. I recorded some of it and when revisiting this song I thought to try adding it, I think it works. I particularly like that for me it brings to mind an image of our rental house in Madrona, 2007 or 2008 or so, me in the basement at night recording the guitar loops while that house a block away was for sale. It’s very specific and I doubt both things were actually happening at the same time, but they may as well have been, and in this song now they are. The wind chimes are also a specific Madrona memory, walking through the neighborhood with a Zoom H2 flash recorder, down the street that my father grew up on which coincidentally was a couple of blocks from where we were living and recording wind chimes. There were lots to record. I had no specific plan for them, I figured why have a flash recorder if not to do stuff like that. I like the music of this song, how it feels as it builds up and resolves, but it’s likely I’m more biased toward it because of these personal details. This entry was posted in Music, Recordings, Sun Tunnels. Bookmark the permalink.